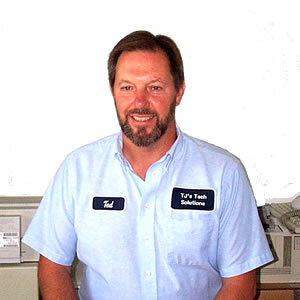 TJ's Tech Solutions is based in Maineville, Ohio and is owned and operated by Theodore J. Fritz. Ted began the business in August of 2001 and provides a full complement of computer services targeted toward small business owners and home users. TJ's Tech Solutions serves the surrounding Cincinnati area communities and is uniquely qualified to satisfy the particular needs of our customers. Why is our services needed? Business owners and home office users cannot afford the hassle and loss of productivity associated with bringing a computer to a repair center. That is why hundreds of business owners and small office / home office users turn to TJï¿½s Tech Solutions to handle their computer service needs. However, TJï¿½s Tech Solutions does more. Our goal is to work with our customers to offer recommendations and design solutions that improve their business. After all, we do not succeed unless our customers succeed. What is unique about TJï¿½s Tech Solutions? TJï¿½s Tech Solutions approach is very different from most other computer service providers. We provide a high level of friendly, personalized service. We are located close to our customers which means that we can respond quickly and cost effectively to help meet their needs. Our wide range of skills and abilities allows us to handle practically any situation. Because our company focuses on Computer Service, Support, and Training, this allows us to work with and for the customer. We provide solutions and give advice that focus on the customer's real needs. TJ's Tech Solutions wants to help make your computers work for you, thus making your lives less frustrating and your computing a whole lot simpler. Ted has over 20 years experience with computers and will work with you to ensure your satisfaction.